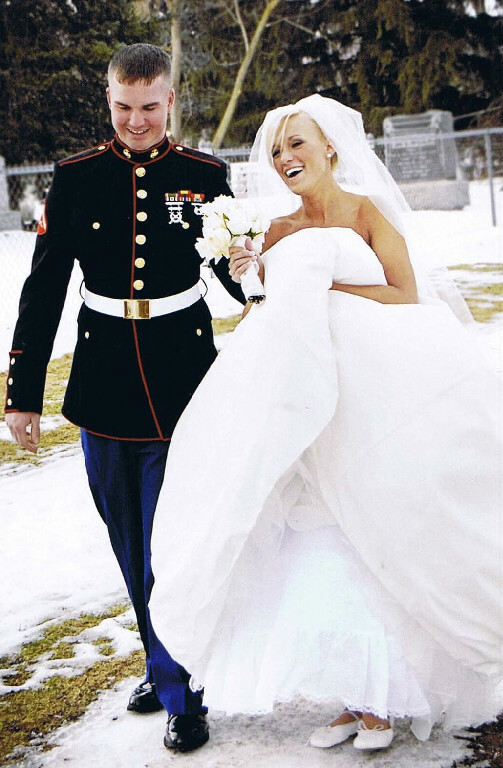 If you're marrying someone in the service, Brides Across America is happy to hook you up with a free dress. Damn. Brides Across America was born on a realization that our country needs to do more to support our troops and their families. Bringing bridal and military together is a marriage made in heaven! Bridal salons are uniting across America to donate and giving away wedding gowns to qualified military brides. The wedding industry is making a difference and giving brides to be the opportunity to find the wedding gown of their dreams as well as aleviate some of the financial stess of purchasing a wedding gown. Each store will be preparing a select number of gown to give away. Most of the gowns are samples and overstocks and are worth approximately $500 to $3000. Dresses range in sizes from 4-22 and will be given away on a first-come, first serve basis as long as you qualify. yeah this is really a great post i love wedding dressing i like prom limousine nj . Wedding is one of the most spacial day in life. For occasion like wedding party or even for other mass social functions, prom limousine nj is the marvelous service to celebrate this event in royal style. The entrance with limousine in wedding ceremony will be a wonderful moment of life. Limousine in long island NYC offers top quality and luxury limousine for corporate transportation, weddings and for prom parties. I must say a classic brides blog. I see your blog is great specially marriage couple picture are very sweet. Nice couple and very attractive or informative blog thanks a lot sharing me this kind of post. Your blog is so interesting and nice about limousine. JFK Airport Limousine Service provide you the best limo service on JFK Airport. Limousine is a part of fashion today. It is considered compulsory for every major occasion. You'll feel pleasure to hire .